View Soft Bits videos here. 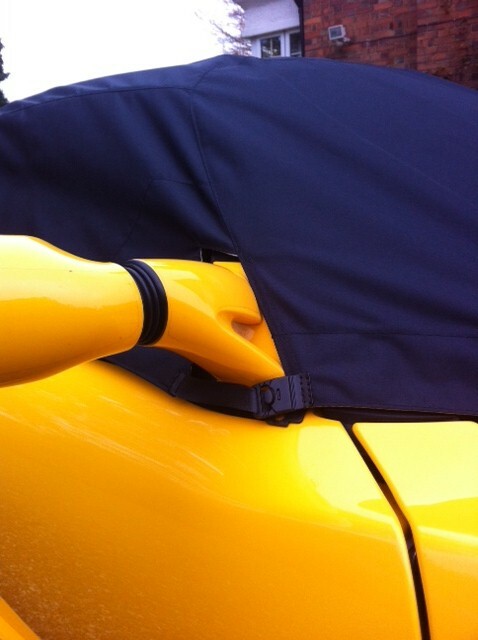 Fully covers Windows - a popular detail on our Caterham parts. Waterproof material that is UV and fade resistant. Includes free Bonnet Bib to stop leaves ect. collectinging and clogging up the rads (do not fit when rads are hot). FIRST REVIEW ADDED - SEE BELOW. 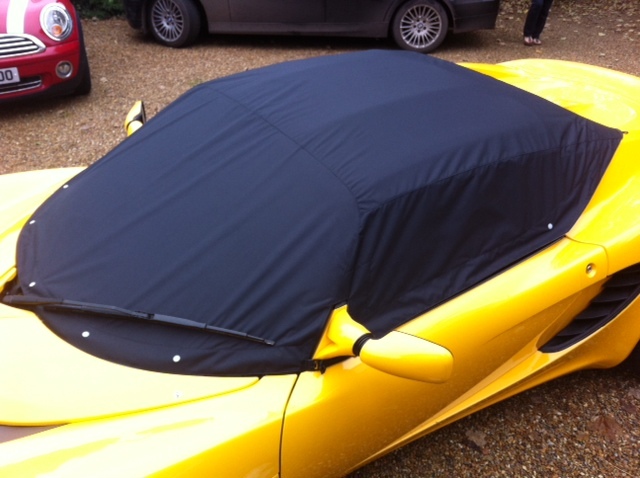 This is a High quality product made at our workshop in Sussex and we are sure you'll be very satisfied. However,If you are not please get in touch, return the cover and we will give a full refund. Now Successfully tested on the long roof varient. Many of our items are made to order - they can be ordered even if out of stock. Please get in touch if you need a delivery date. It is safe to have this even if it gets rained at the accommodation destination. 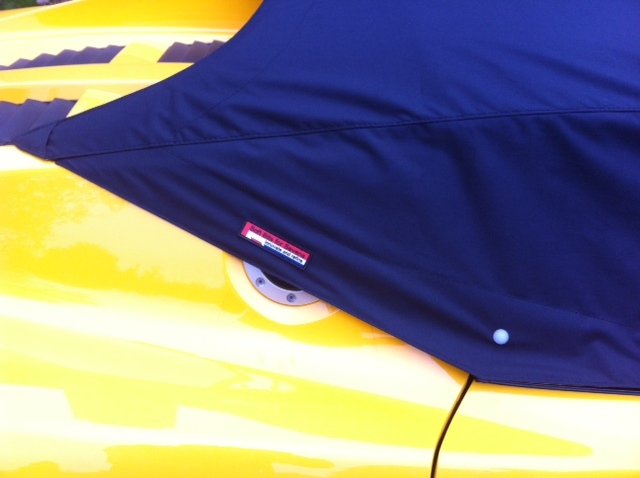 Bonnet Bib which covers from the access panel to the radiator is attached. Since flooding from the access panel part leads to breakdown of air conditioners and electrical components, the significance of covering here is significant. Because it is reversible, if it is silver on the reverse side, it also serves as measures against sunlight in summer. The quality of fabric, sewing and precision is high. Really happy with this purchase and thoroughly recommend to anyone remotely interested in buying. I ordered the showercap one afternoon and was delivered the next morning. 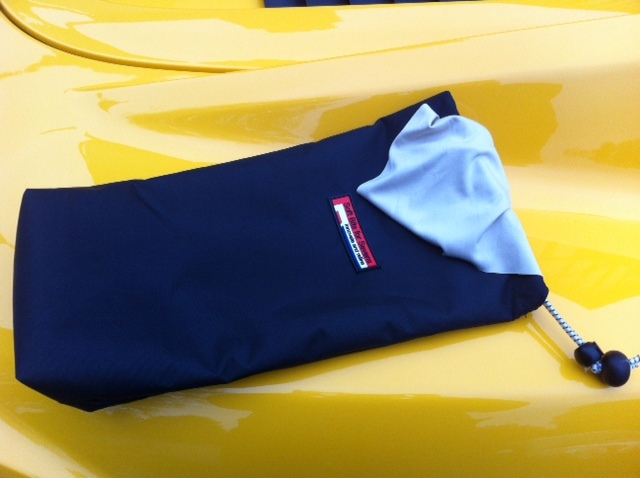 The Showercap comes in a handy drawstring bag with soft bit for sevens emblem on it. The showercap itself feels a premium product. There are plenty of suction pads attached to it giving confidence it will hold - the suction pads have a twist lock function on them rather than pressing the pad onto the window. Fitting the showercap is simple enough but can always refer to the demonstration video on here if unsure. I found the showercap is a very tight fit on first use, maybe it will loosen over time. Nick has been helpful and seems a genuine enthusiast. Overall Im very happy with this purchase, its nice to open the Elise without any water being let in. Reviewer: Kenneth Hill from Co Down, N Ireland. 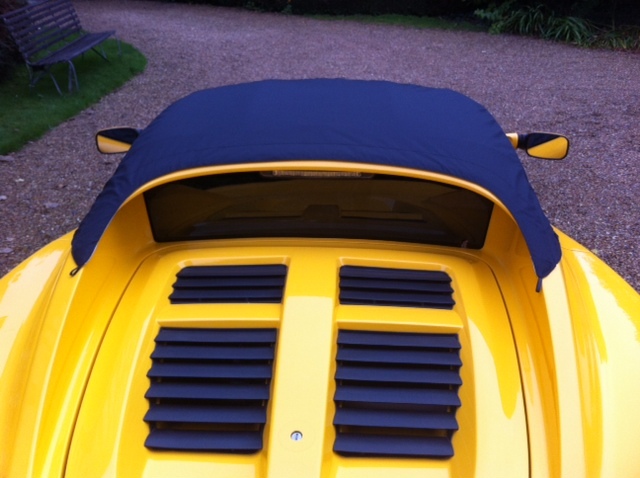 This shower cap for the Lotus Elise is undoubtedly the best on the market. The quality of the fabric and manufacturing is second to none. I have researched quite a few well known brands and it makes them look like bin bags by comparsion. It''s firms like this that give you faith in the British manufacturing industry. Kind Regards, Ken. Impressed with this from point of order to actual fitment. Friendly, polite communications, packaging that your Nan would be proud of and the cover itself well designed and a perfect fit. I looked at the others available and based my purchase on the design and detailing of this plus the fact that you are dealing with the actual people that make them.....any problems can be rectified at source. A pleasure to recommend.